Rolf Schwartz, Head of Design at Otto Junker GmbH’s branch factory in Gevelsberg, goes into business for himself when that site closed. Establishing schwartz GmbH, he embarks on the manufacture and design of heat treatment systems for steel, aluminum and nonferrous metals. For the first time, press-hardened steel parts heat-treated with schwartz GmbH’s equipment are integrated into a vehicle. The company’s headquarters is moved to Simmerath. 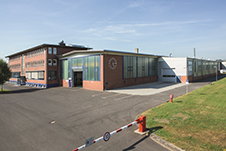 A two-storey office building with adjoining production shop is erected on the Rollesbroich industrial estate. Alexander Wilden joins the company as commercial director. Volkswagen AG awards its first contracts to schwartz GmbH. The management resolves to enlarge the office and production buildings as the company reaches its capacity limits time and again due to growing order volumes. 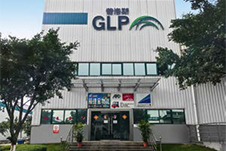 In order to speed up delivery to a growing customer base in the Asia-Pacific region, a subsidiary entity trading as schwartz Heat Treatment Systems Asia is founded in Kunshan near Shanghai, PR China. The production of heat treatment systems to German standards is launched here. Moreover the site has a service team providing on-site customer support. Alexander Wilden becomes the sole Managing Director of schwartz GmbH. schwartz, Inc. Is founded as a service operation in Oswego near Chicago (Illinois)/USA. From here, service personnel can reach customers in American markets in minimum time. For the first time, schwartz GmbH’s staff complement exceeds 100 people. Over 80 % of all press-hardened steel components used in cars worldwide are heated in schwartz heat treatment equipment. For its innovation in the field of heat treatment equipment for press hardening, schwartz GmbH receives the AC² Innovation Award of the Aachen region. The newly developed system is capable of producing different closely defined temperature zones in one blank. The office building, already enlarged, can no longer accommodate the growing number of employees. Several departments are therefore relocated to a new office complex erected close to the main building. schwartz GmbH ranks among the 500 fastest-growing companies in Germany according to a survey conducted by FOCUS news magazine in co-operation with the Statista statistics portal. schwartz GmbH is officially acknowledged by the University of St. Gallen (Switzerland) as the global market leader in the field of heat treatment systems for press hardening applications. Schwartz, Inc. moves from Oswego to Naperville (Illinois). In addition to a larger office space, the new location also has its own warehouse for spare parts. CONEX AB, a Swedish manufacturer of press dies for sheet metal forming, with head office in Luleå, Sweden and another site in Kalix, Sweden, is now part of the schwartz group.